Koh Chang is named after the majestic Elephants of Thailand due to its shape. It is a show-case of spectacular beaches, fine restaurants and a sleepy fishing village. 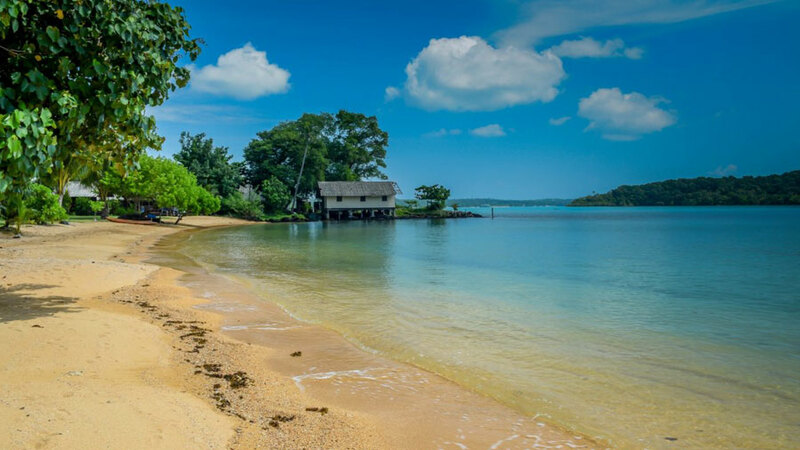 It is situated just to the east of a substantial archipelago of 52 Islands with the most prominent neighbors being Koh Kood and Koh Mak. 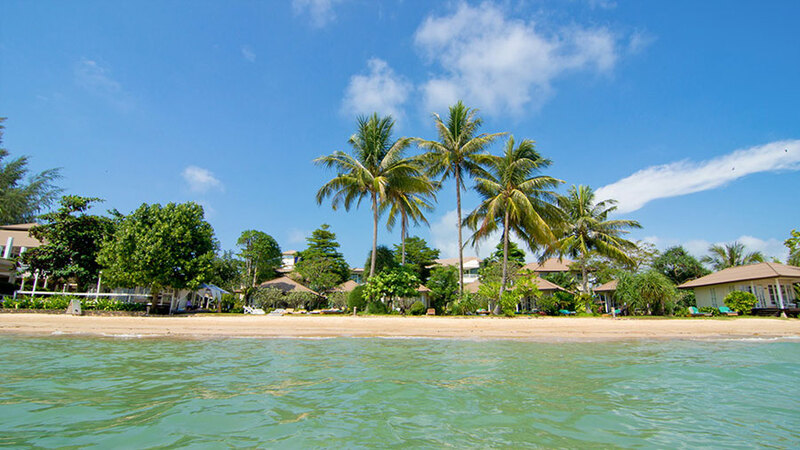 These national treasures are amongst Thailand’s very best, with little infrastructure the chances of finding your very own private spectacular beach is-rest assured - a certainty. An unforgettable experience is awaiting on an amazing seven day cruise or sail to and around these Island jewels surrounded by some of the Thai Gulf’s clearest water. 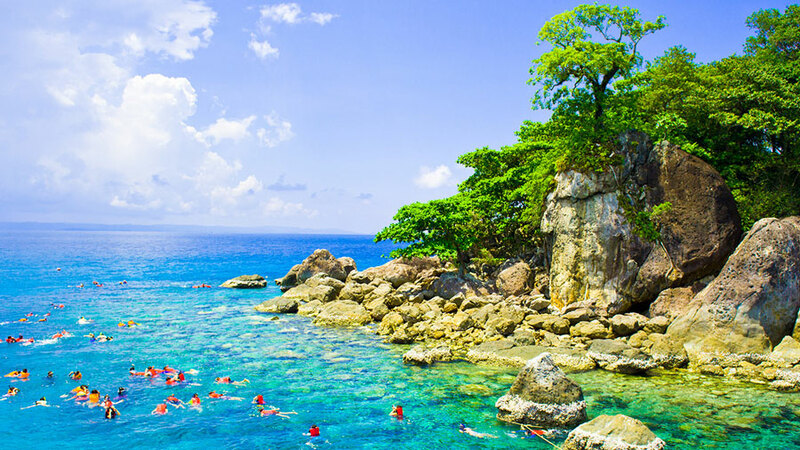 The Koh Chang National Marine Park with is needless to say a snorkelers paradise. 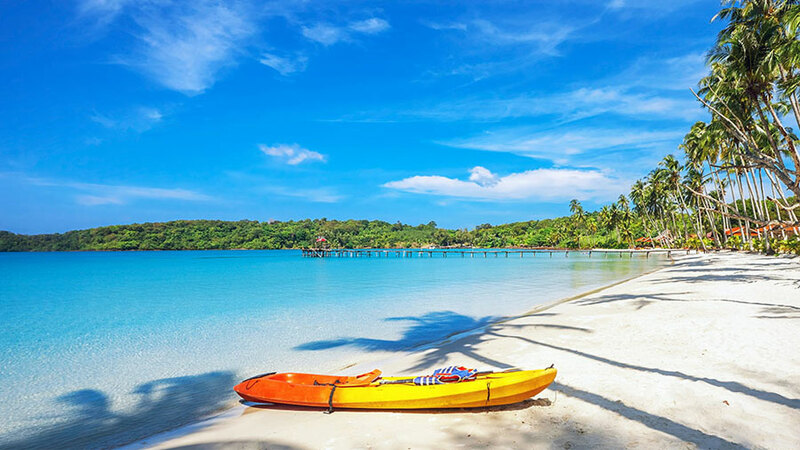 A visit to the Koh-Chang archipelago is like a step back in time; famous for its waterfalls, abundant coral reefs and long sandy beaches, which still remain virtually untouched by tourism. Discover many secret wonders from the deck of your yacht, whilst stretching your land legs by sampling the aromatic fantastic Thai cuisine along the way. 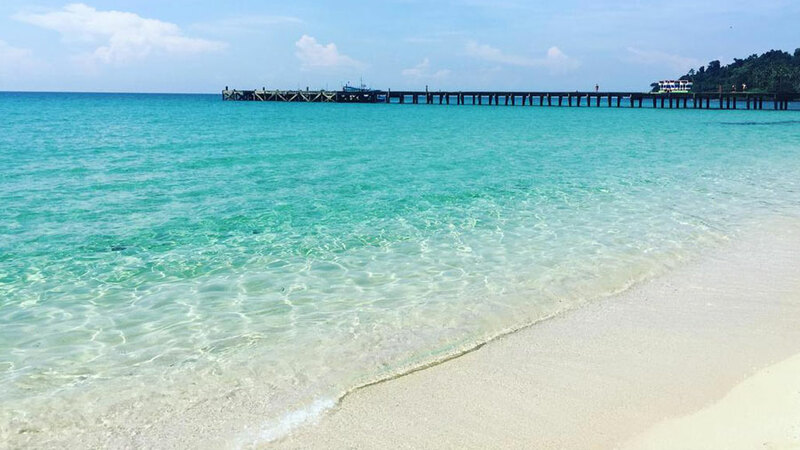 Depart at 10 am from Ocean Marina to cruise past the many untouched islands lining the passage through the coast to the beautifully preserved island of Koh Samet enjoying lunch served en route at Samae San island. 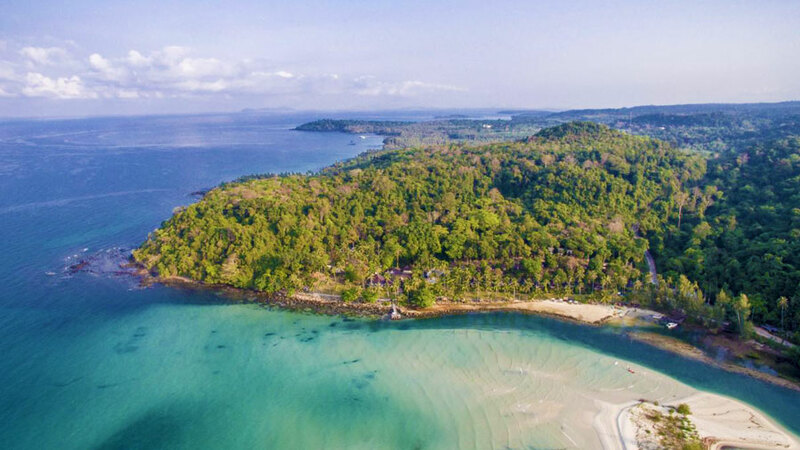 Sattahip’s Koh Samae San with its protected islands, award winning beaches and fantastic marine life is a fantastic anchorage to enjoy a delicious lunch. Arriving at Koh Samet early evening we will anchor in the calmest bay depending on sea conditions. Simply relax and soak up the atmosphere while enjoying cocktails on board before preparing for an enthralling evening ashore dining at one of the colorful beach side Koh Samet restaurants serving a diverse range of European, Thai and Seafood cuisine. After dinner perhaps enjoy an evening of fantastic Thai fire shows and beach parties. For those looking to party you can complete the evening at one of the many lively beach bars and clubs before settling in for a relaxing night on board in your private cabin. Heading off at around 9 am for a delightful cruise to the fabulous island of Koh Chang arriving at our favourite anchorage at Bang Bao Bay mid afternoon. Enjoy a fabulous seafood lunch ashore at the nearby floating seafood restaurants. After lunch perhaps get a local taxi to enjoy some of the Koh Chang inland scenery and activities before enjoying a fabulous dinner and perhaps hit a few of the island bars. Cruise to Koh Kood island. 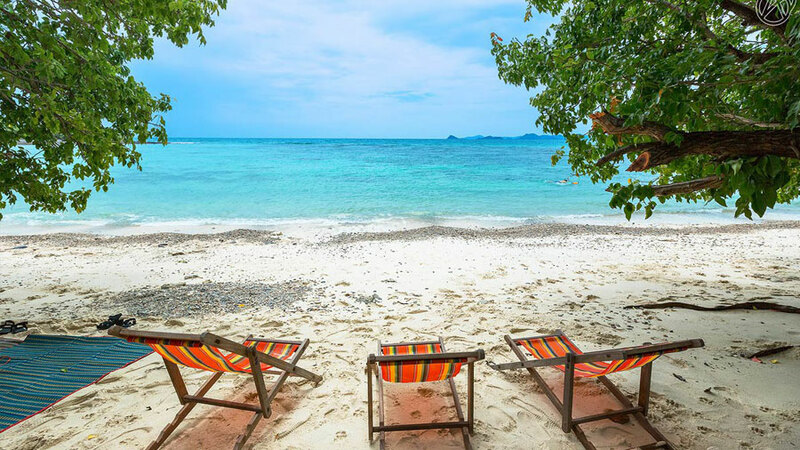 Set to the south of the better known Ko Chang and Ko Maak, Ko Kood (also known as Koh Kut) is a large, mountainous island whose interior remains largely jungle covered and whose western and southern coasts are dotted with glorious white-sand beaches. The waters surrounding the island are crystal clear and some of the beaches obtain an other-worldly drop dead gorgeous Maldivian appearance. We can enjoy lunch and dinner ashore at one of the island's restaurants. A jungle trek to the Klong Chao waterfall is highly recommended. Head off to Koh Mak at the time of your convenience. Koh Mak is a lovely island that challenges so many of our views of Thailand. In a country that’s an enigmatic mix of elegance and hedonism Koh Mak is a piece of Thailand that has not lost its treasured Thai values. The tropical paradise of Koh Mak is one of the safest places on earth. You will not find any nightlife on the island and there is virtually no crime. There are plenty of good restaurants and places to go to drink an evening cocktail but you won’t find any disco’s or loud bars on the island.The coastline is predominantly mangrove swamps leading into shallow warm waters, however a journey around the island reveals the hidden treasures of Koh Mak. We will take you to Four stunning beaches that curve gracefully around the coastline with soft golden sand being gently kissed by warm tropical seas. So beautiful are these beaches that they were previously named in Britain’s Sunday Times’ Top 10 most beautiful beaches in the world. There are over 50 magical small islands in the Koh Chang National Marine park and Koh Kham and Koh Wai are two of these islands that are well worth a visit on-route to Koh Chang. Spending the afternoon ashore in Koh Chang where there are many activities such as tree top adventure park, elephant trekking, ATV rides and Klong Plu Waterfall. Hundreds of restaurants, bars and even a couple of disco’s. Setting off at around 9 am enjoy a cruise along Koh Chang’s Eastern beaches prior to heading back to Koh Samet island. Enjoy an afternoon relaxing on the Koh Samet beaches or enjoy a walk or even an ATV ride around the magical island. A tasty lunch and a great evening's entertainment is always guaranteed upon Koh Samet. There are some delightful islands nearby if you would like to do some snorkeling surrounded by hundreds of small colourful tropical fishes. Setting sail at around 1.30 pm enjoy a leisurely cruise back to Ocean Marina Yacht Club Pattaya stopping off at Koh Samae San or Koh Khram islands on -route. You can either stay aboard or depart for your next destination. Official departure time from the yacht must be no later than 09.00 on Day 8 so that we can prepare the yacht for the next charter. Take this opportunity and cruise in style on a charter adventure that you will remember for a lifetime, on board one of our prestigious Sailing or Motor Yachts! All your expectations will be surpassed and our friendly, knowledgeable and service minded staff will ensure you are more than well looked after.